Square is a payments, point-of-sale (POS), and business management tool for small businesses. Square charges a flat-rate payment processing fee, and businesses can use Square’s POS app for free. Additional features, such as marketing and payroll, are available for a monthly fee. Square offers an affordable solution that can be customized with different features. Square is a software-as-a-service (SaaS) company that does not require contracts or upfront payments for any of their software or payment processing tools. Instead, Square is billed monthly and on a month-to-month basis. Payments processed with Square have a flat fee deducted from your transactions. Visit Square to get a free account. Square has a very simple fee structure. Square POS is free to use, and you can add on extra features as needed for a small fee. Square Payments has no monthly or startups costs—you just pay transaction fees as you go. *Note: Square offers a lower processing rate for businesses that purchase Square Register or Square Terminal hardware, or Square Retail or Square Restaurant software. Square’s low cost and easy-to-use programs make it a great fit for new and startup businesses, businesses like market vendors and food trucks that need mobile payment processing, and cafes and small brick-and-mortar businesses. Square’s flat-rate payment processing fees also make it a great fit for any business that has average transactions below $20. It’s completely free to create a Square account and test the features for yourself. From mobile and in-store sales to online selling and invoicing, Square ties all of your business’ payment processing needs into one tidy package. Here’s a quick overview of everything Square offers and the costs involved, including the types of payments you can process, the equipment you might need, and other services. Why Do Square Payment Processing Fees Differ? Swipe: Swipe the card’s magnetic strip through a card reader. Dip: Insert a chip card into a chip card reader; this is considered a more secure transaction than a swipe. Tap: These are contactless transactions made using mobile wallets like Android Pay or Apple Pay. The processing rate is the same for all card-present transactions. If you are using Square’s free POS and any of the standalone swipe or chip readers, the card-present processing fee is 2.75%. 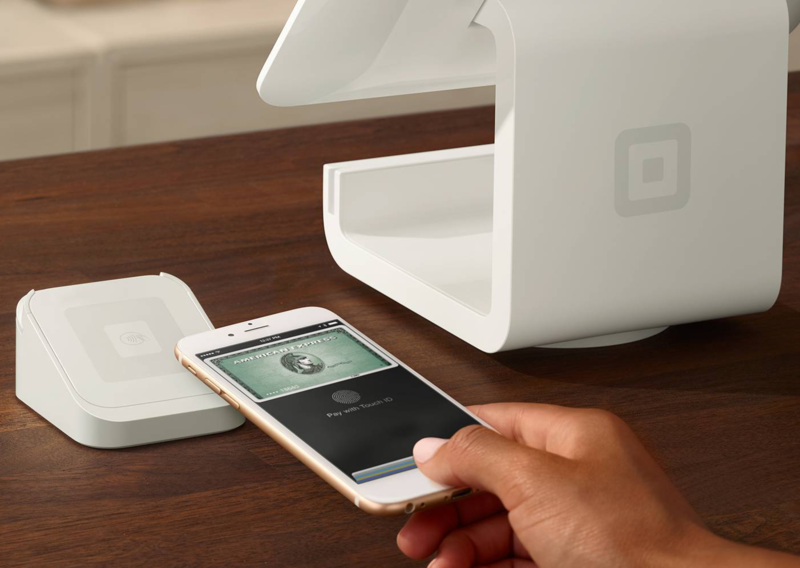 Square Terminal has built-in swipe, chip, and contactless payments plus receipt printing. Keyed-in payments: This is where you type a customer’s card into the virtual terminal on your Square account dashboard. This is handy for taking credit card payments over the phone for orders and invoice payments. Card-on-file payments: These are automatic or recurring payments made when your customer gives permission to keep their card on file for regular payments. Online payments: These are orders placed in your online store or invoices paid online. Square has two different processing fees for card-not-present transactions, and we list those below. 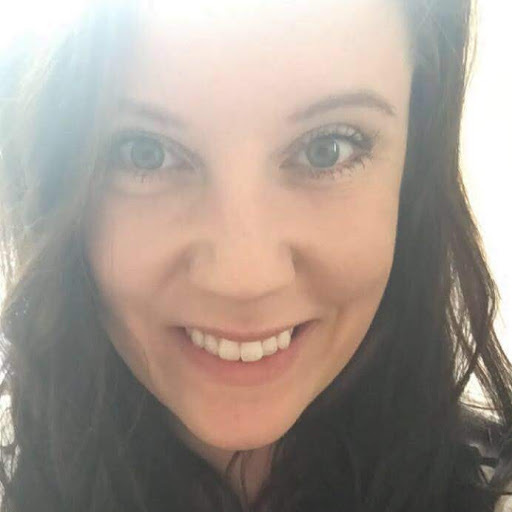 But the good news is that these types of payments have no equipment costs since they all are processed using your free Square account dashboard. 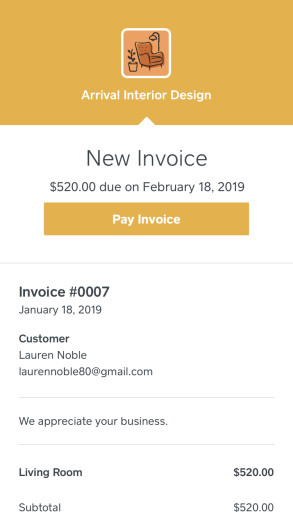 Square Invoices are free to create and send. Mobile payments and in-store sales require credit card readers to accept payments. Square has a variety of readers that let you swipe, insert, or tap cards to process payments. Each of these work on smartphones or tablets using Square’s free point-of-sale (POS) app. Square Reader can be secured to a smartphone for mobile payments or docked on a countertop for in-store sales. Square has grown from a payment processing solution into a cutting-edge platform that supports your entire business, offering a slick, free point-of-sale system, online store, plus a full suite of business, customer, inventory, and marketing management tools. Many features are free but some have added costs. These are the basic operating features that keep your business running smoothly and help you stay on top of all your sales activities and data. All of the features below, except for Square Appointments, are free and included with a standard Square account. Square brings all of your key marketing and customer relations tasks under one roof and integrates it with all of your customer data. You can craft email campaigns that are fine-tuned to grab customers’ attention and bring in more sales, plus use feedback and loyalty programs to keep your name top-of-mind. Square’s Employee Management feature lets you easily manage key employee activities including system access, role assignments, and timekeeping, even across multiple locations. Plus, the added Square Payroll service fully integrates to simplify all of your payroll tasks. Square brings a lot of functionality to the table, and many valuable features are included at no cost in your free Square account. Since everything integrates seamlessly, you can easily add services as your growth demands. Best of all, every feature ties into your existing data the minute you turn it on. Square Retail is an upgraded version of the free Square POS with extra features specifically designed for managing a retail store, such as advanced inventory management, sales profit calculators, and employee management. Square Retail is $60 per month. Like the standard Square POS, Square Retail has great user reviews. When you subscribe to Square Retail, you also receive a discounted payment processing rate of 2.5% plus 10 cents per transaction. 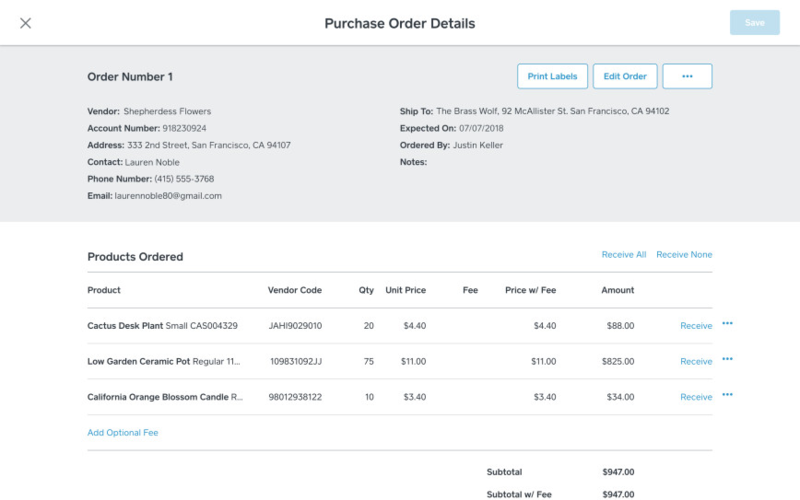 With Square Retail, businesses can create and manage purchase orders. 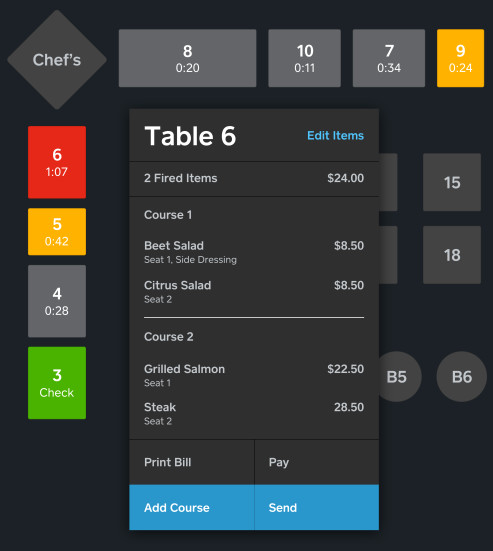 Square Restaurant is an upgraded version of Square’s free POS with extra features designed for managing a restaurant, such as menu creation, table management, tons of customization options, and order delivery add-on. Square Restaurant is $60 per month per location and register. Additional registers are $40 per month. Square Restaurant offers a discounted payment processing rate of 2.6% plus 10 cents per transaction. Visit our Square Restaurant Ultimate Guide for more information. 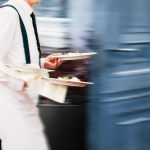 With Square Restaurant, businesses can create custom menus and floor plans. With Square and Weebly, businesses can create professional websites with custom domains. 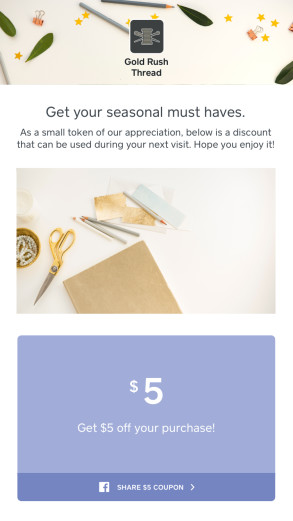 Square offers a marketing add-on for the free Square POS system that includes email and Facebook marketing with custom campaigns that can be targeted to specific customers. Square Marketing starts at $15 per month. But Square offers a free trial for their marketing feature. Click for a free trial. Create custom email campaigns with Square Marketing. 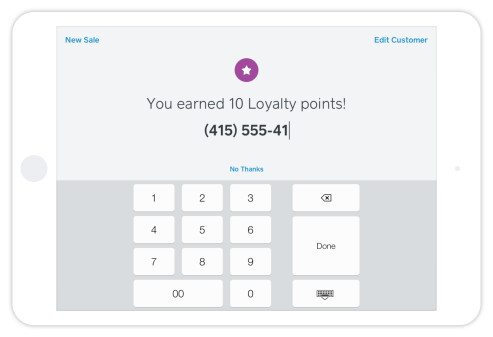 Square Loyalty is a point-based rewards program that uses the customer directory that is built into the free Square POS. Square Loyalty tracks customers based on their payment method once they sign up. Businesses can customize whether shoppers are rewarded per visit or per dollar spent. Businesses also choose when and how many rewards are offered in the program. Square Loyalty starts at $45 per month and includes up to 500 loyalty visits. Like Square Marketing, Square Loyalty also has a 30-day free trial. Try Square for free. Customers can enroll in Square Loyalty at checkout with their phone number and receive SMS text updates. To process payments using Square, the first step is to sign up for a free Square account. Then, if you are selling in-person, your free card reader will arrive in the mail. You can also purchase additional readers. Set up your products in the Square Dashboard, download the free Square POS app, and you can start selling. For online payments, you can connect Square to your existing ecommerce site with a plug-in. 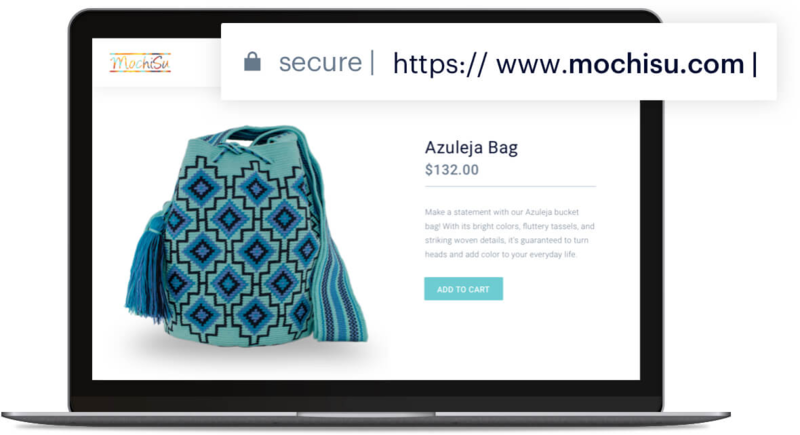 Or, you can create an ecommerce site using Square and Weebly for as little as $8 per month. For more details, read our full guide on how to use Square Payments. 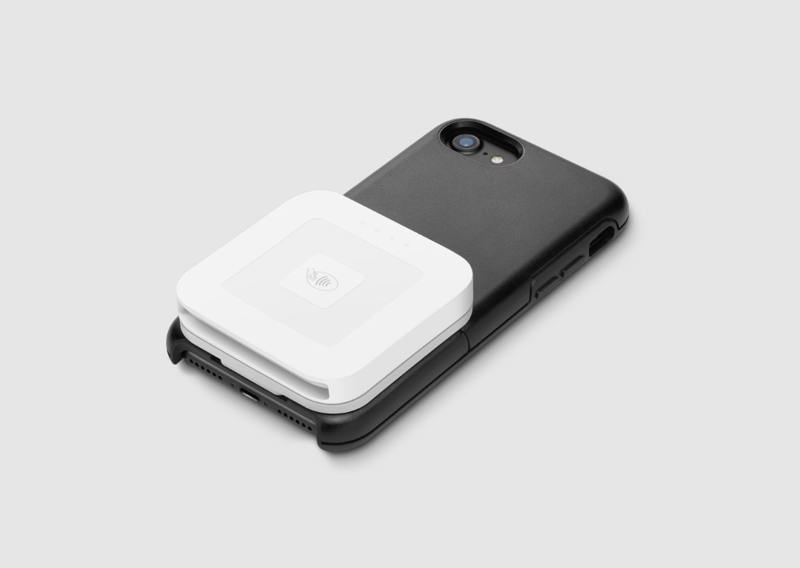 Square is best known for its white, square-shaped mobile card reader and payment processing service. But Square has grown into a platform that supports your entire business, including payment processing, business management, online selling, marketing, and much more. The nice thing about Square is that with it, you can easily craft a full sales and business management solution on any budget. Core features are free, and you only pay the Square fees for credit card processing, certain processing equipment, and optional advanced features. So with Square, you only pay for what you actually need. Visit Square to sign up for a free account. I cannot see a way to contact you while logged in to Square (only see offers articles or community support). I manage a non-profit website where we would like to offer $50 tickets online for an event, but the outstanding transaction limit is $15,000, we will definitely go over that. How do I manage this? I really need the tickets to be offered online. Thanks! I’m sorry! We’re not Square, I just cover it from a how-to perspective. Here’s the link for how to get phone support with Square. But per your question, the transaction limit of $15,000 means 1 sale of $15,000. Square won’t approve a single transaction or sale over $15,000. For example, you can’t sell a car for $20,000 with Square. If you’re selling tickets for $50 each, you can sell as many as you want, you’re not limited to a total dollar amount of sales. You can sell $1 million worth of $50 tickets or more with Square. Does the price change for non-profit or govt entities?